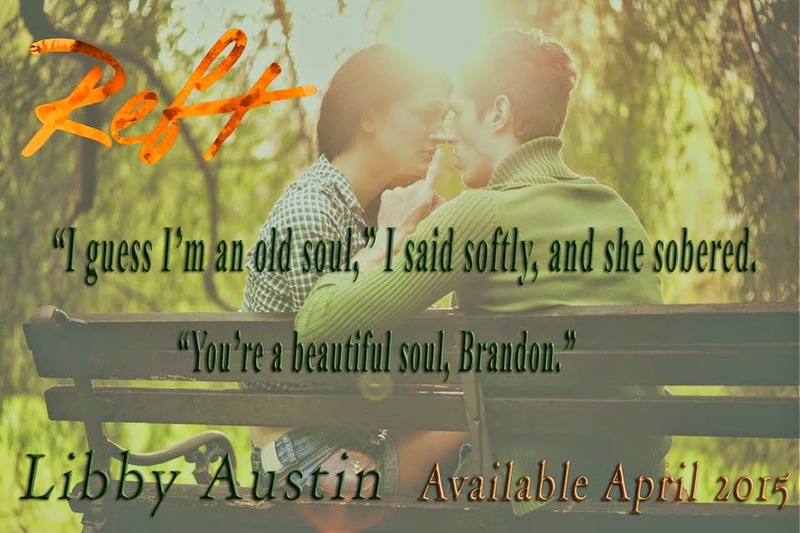 I have read some of the reviews that REFT has been receiving. I cannot disagree with them more. Readers complain they want something different, yet when they get it, they complain. Readers say that they want authors to step outside the box, yet when they do, they complain. When authors write their stories, they write what the characters tell them to write. It is not just the author's story, it is voice of the characters. Every decision that the character does, the readers are not going to agree with it. Just because YOU may do something a certain way, doesn't mean the character will...or should. In Reft, you will meet Brandon “Brand” Carmichael. Brandon's life changed in a matter of minutes. One choice he made, affected every one he loved. A decision that he regrets every day of his life. His actions affected everyone around him. In reality, when you stop and think, we cannot change what we have done, we can only live with the decisions we have made and more forward. Brand stumbles upon Magdalena “Layna” Delacroix in the hallway of his apartment. They are neighbors. The two of them begin to spend time together and Brand finds himself enjoying her company. Brand's life has been in a downward spiral, and he has refused to seek help? For years he has been struggling with life itself. People around him are changing, relationships are changing, and Brand can't handle it. So when he meets Layna, it was like a breath of fresh air. Layna wants to start a psychology practice of her own, but what lengths will she go to in order to make it happen. When she sees Brand struggling, will she offer to help? What lengths will she go to help Brand? Like I said above, we all make decisions, some that others may not agree with. Whether it is decisions we make for ourselves, or decisions our parents make. When we make the decision, we always think it is best for that particular situation. Brand was struggling with demons, demons that were eating him alive. Brand actually held a warm spot in my heart. I wanted to see him realize that he was worthy of living. Worthy of being happy. Worthy of loving. Layna has made a few decisions that have affected several people. She can only hope that if they backfire on her, those who love her will be able to forgive her for them. Layna was able to force Brand to show a side of himself that had been lost for some time. The two of them deserved to be happy. Could the two of them be happy with each other? Will their pasts affect their future? Can the two of them leave their pasts behind them? Decisions... Decisions.. And like Newton’s Third Law of Motion - For every action, there is an equal and opposite reaction.